Documentary Photographer @ 15 Stories based in venice Los Angeles Mette Lampcov portfolio on Visura - a professional network to connect with photo editors and art buyers, and build photography portfolio websites. Visura members, like Mette, share photojournalism, art photography, landscape, travel photography, portraits and more. Mette has 0 projects, community news posts, and 1 images shared in the photo stream. 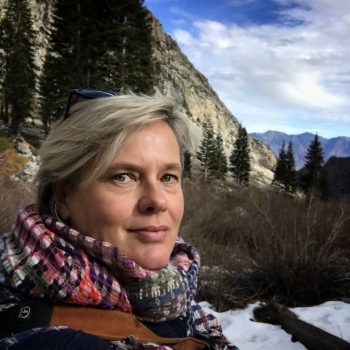 Mette Lampcov is a freelance documentary photographer from Denmark and is currently based in the greater Los Angeles area. She studied fine art in London, England and after moving to the United States 10 years ago, studied photography and journalism at UCLA. Her personal work includes projects about violence against women around the world and undocumented migrant workers in California. Lampcov is currently concentrating on a long term project about water and climate change in California; how climate change and water affects different socioeconomic groups and the landscape surrounding them. This project is part of a 3-year mentorship with Ed Kashi and James Estrin. Her work has appeared in numerous publications including the New York Times - California today- Heat wave's triple treat, BuzzFeed - California's Trees Are Dying At A Catastrophic Rate, Open Society Foundation Instagram with her work on UN violence against women; on 16th Nov. on Buzzfeed, This is what it's like to live with toxic tap water in Californa; Sydney Morning Harold - Good weekend magazine section: Photographers Forum Article- photography By Mette Lampcov; and Malibu Magazine - We Need To Talk.